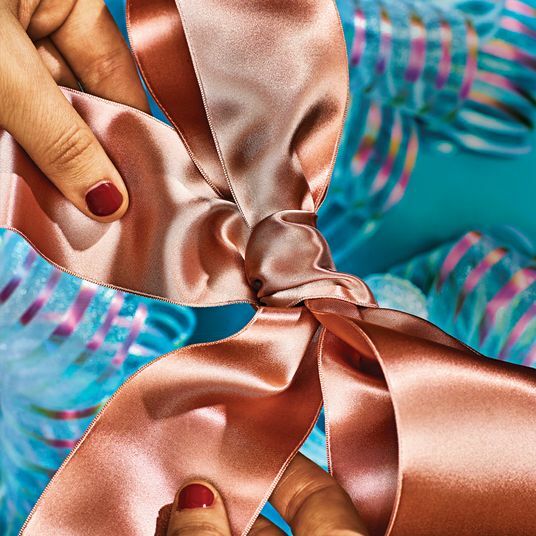 To be Strategist editors, we have to be obsessive, exacting, and a little bit crazy when it comes to finding things to buy on the internet — so that you, the reader, don’t have to be. Which is why we thought that letting you in on the holiday gifts we’ll be giving this year (and the gifts we want) might be useful. See what we gave last year, too. Mom, dad, friends — please don’t read this. 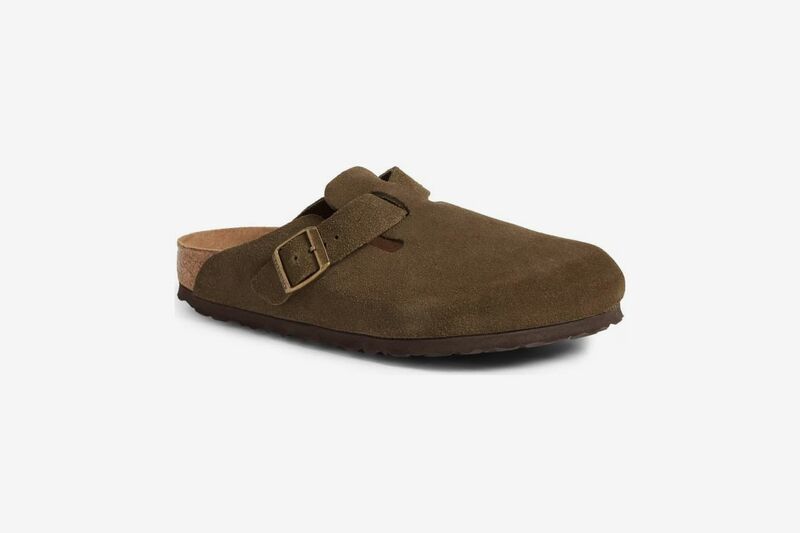 I have a long personal history of mulling over certain purchases for months, and I’ve mulled over these Jonah Hill-esque Birkenstock Boston slip-ons (in forest green) for so long that I’ve made it to Christmas and decided to just ask my dad for them. 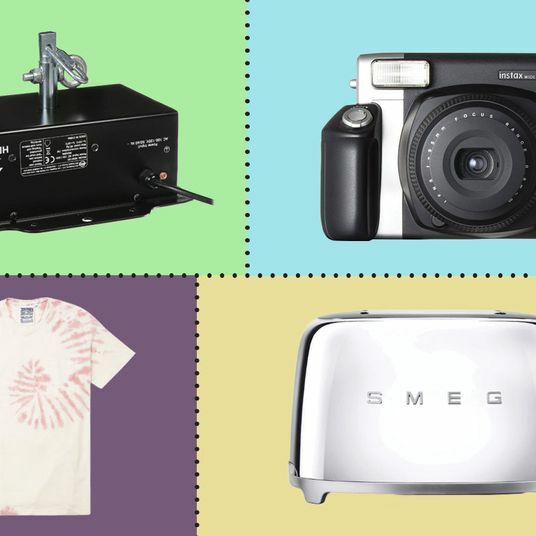 It’s never seemed quite right to ask my dad for shoes or clothing or any kind of fashion item (what does he care? He wears old rugby T-shirts and Keens), but my stepmom owned, no joke, around 20 pairs of them that she accumulated over the years. So I know my dad gets Birkenstocks. 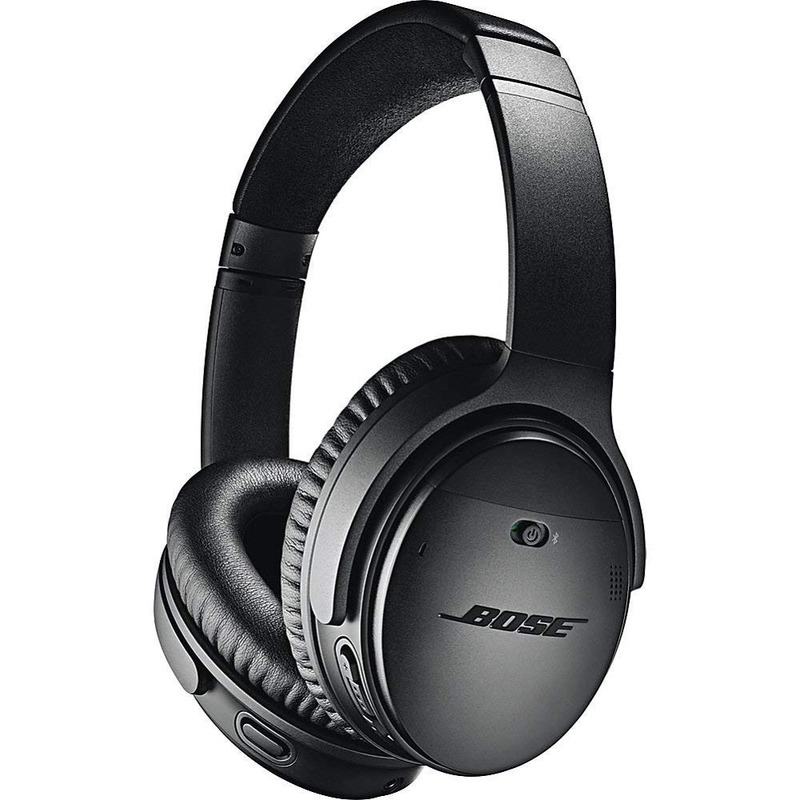 I feel some resistance towards these, because every other woman walking around Brooklyn has worn them for years. But I’m tired of my toes going numb in the winter, and not a single pair of my wool or Heattech socks has ever really made a difference, so I do really want these shearling-lined boots. The crucial detail, to me, is that the ones I want don’t have the pale wood sole. 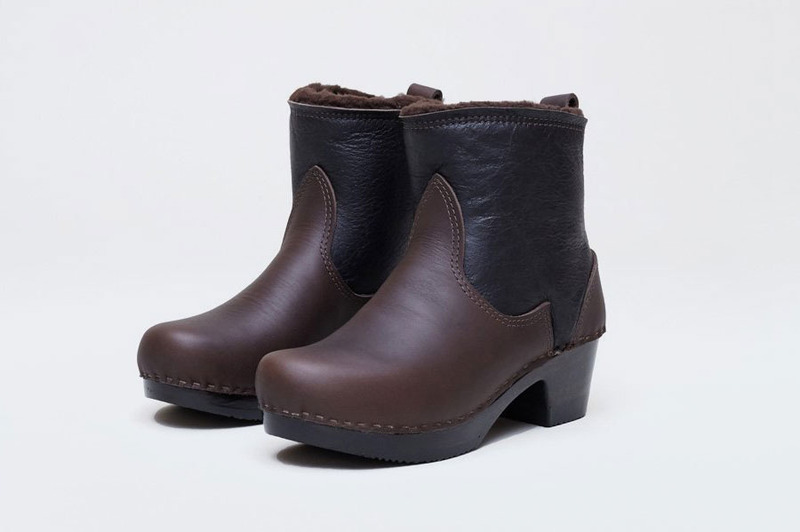 This dark sole makes them a hint more anonymous and not as heavily No.6-branded. 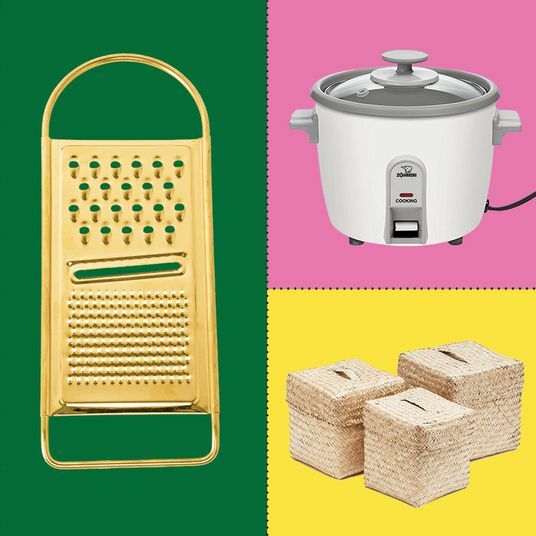 My mom reads the Strategist, so I wouldn’t dare say what I bought for her, but I do feel safe sharing some of what she specifically asked for. “That wine-saving carafe looks cool,” she told me. 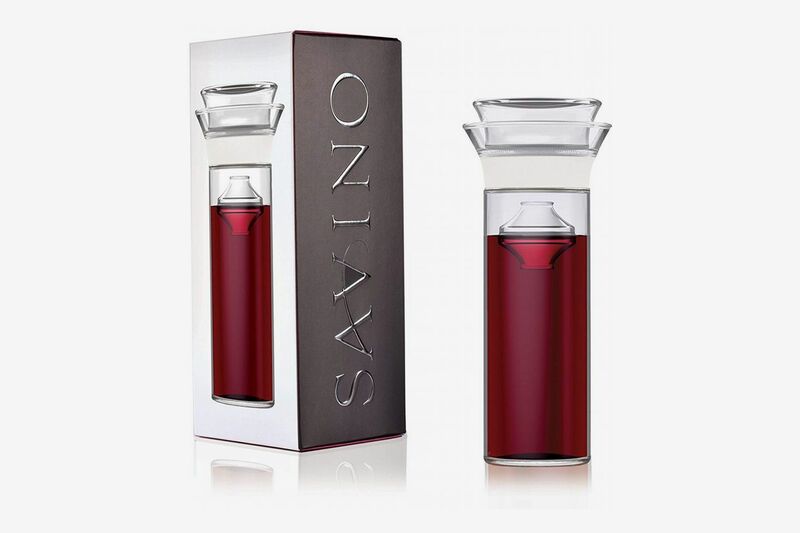 It took me a beat to realize she meant the Savino wine preserver from our gifts-for-moms post. 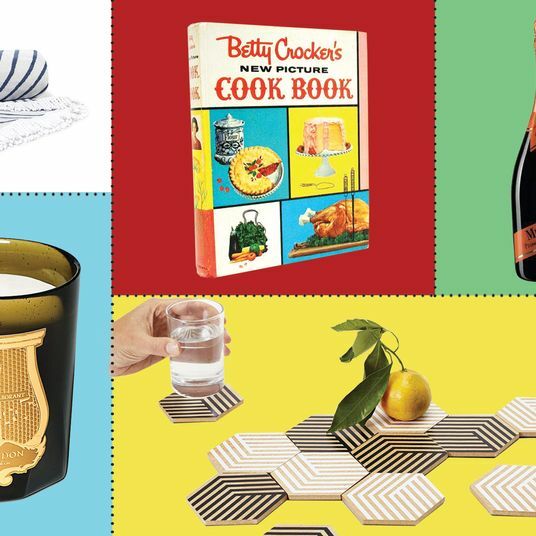 And then I realized — of course this is the perfect gift for the mom (or the anybody) who doesn’t want to ruin a bottle after pouring out just one Tuesday-night glass. Every time I go home, there are fresh flowers in my mother’s kitchen, and some waiting for me in my old bedroom. But my mother has just informed my sister and me that she’s “always frustrated with my vases. My favorite one is done … must have broke.” We had a little wave of vase coverage on the site last week, with these bud vases and some of the taller vessels I picked to go with pampas grass. 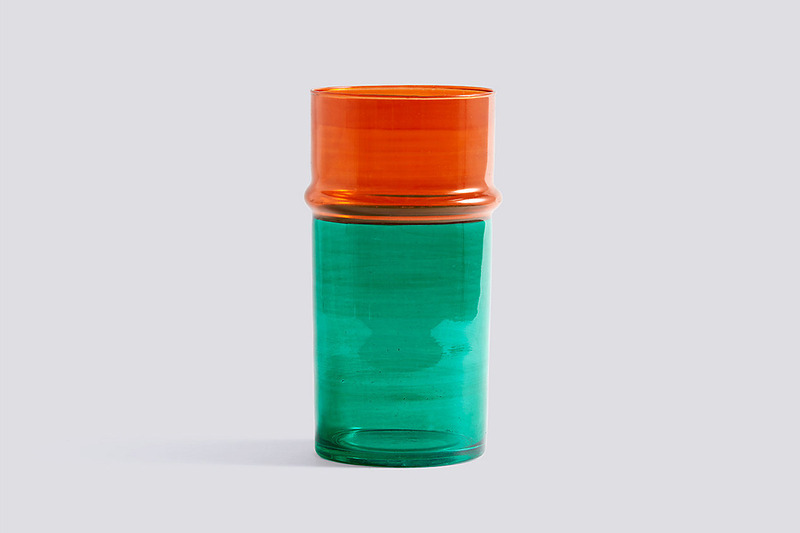 I think my mom would still prefer a glass vase over something ceramic, but for the sake of not buying a generic clear glass one, I’m thinking about this two-toned tumbler-shaped vase from Hay. This fall, my dad and I went on a father-daughter trip to Portland, Maine, and somewhere between the oysters and beers on that trip he lost his fleece vest. So he’d like another one. He couldn’t care less about the Patagonia label, but he did specify that he wants pockets on his vest. For that reason (and because he lives in very cold central Oregon), I’m leaning towards this one. Tommy John’s press team sent a few cold-weather items over to my desk recently, and I don’t even have words to describe how soft some of their stuff is. 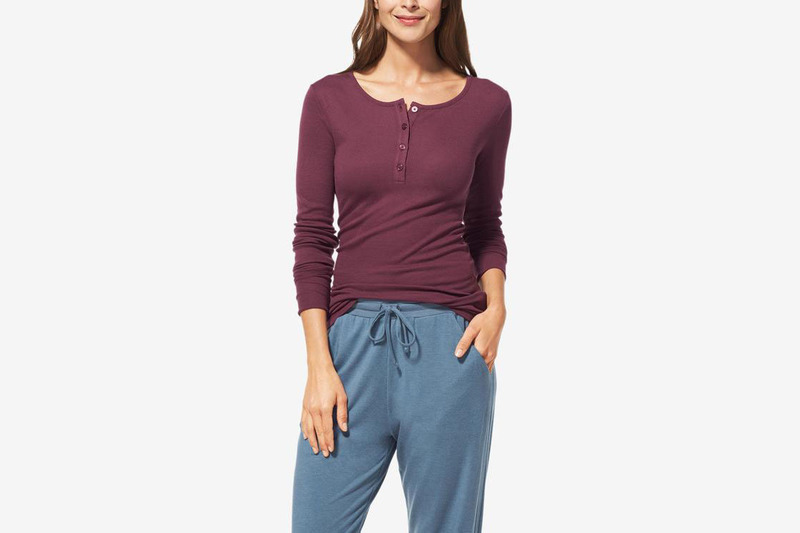 We included them in an article on startup underwear this year, but the items I liked best this go-around are the lounge pants and this henley, which I’ve been living in at home for the past week. 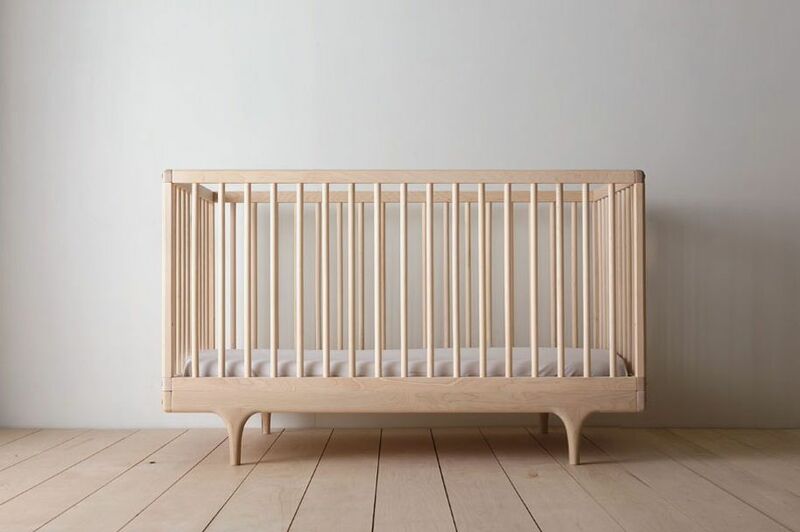 I’m not even sure who I’m buying this for yet, but my sister lives in a frigid climate and skis almost every weekend, so I’m thinking she’ll be a good recipient for some extra-soft, long-underwear kind of clothing. 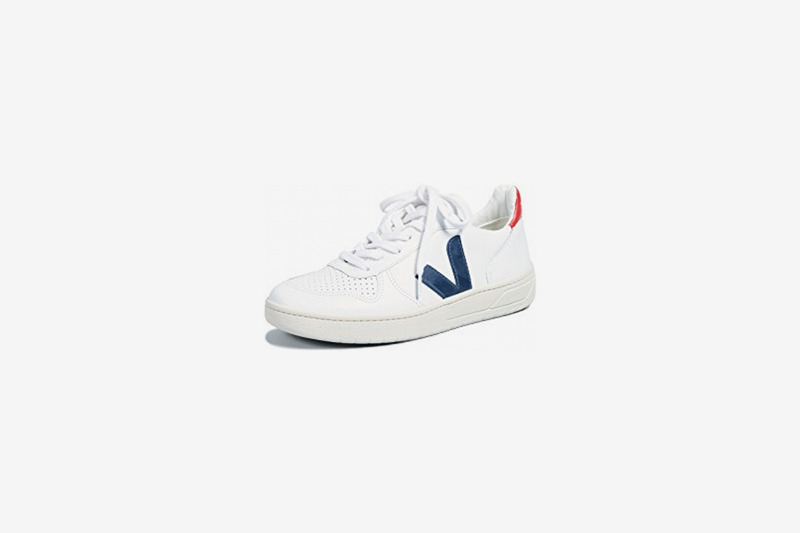 I’ve been coveting sneakers from sustainable French brand Veja for months. 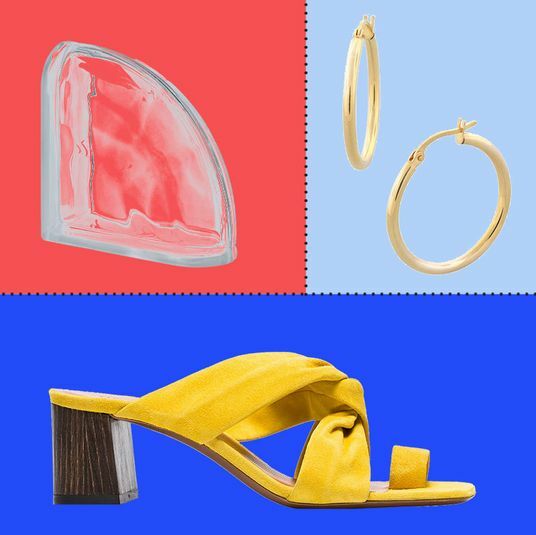 I first learned read about them from the Strategist — specifically from Lori’s roundup of the best white sneakers for women — back in February. Then, while on vacation in Paris in June, I spotted stylish women in these sneakers all over the city, and even held a pair in my hands in a very nice boutique off the Canal Saint Martin, but I didn’t follow through with the purchase. When I spotted them in the window of Madewell on Broadway in Soho last month, I understood that we were meant to be together — as soon as someone else buys them for me this holiday. Every Christmas for as long as I can remember, all eight of my cousins have participated in a Secret Santa gift exchange, and for the last several years, I’ve asked for the same thing: a new pair of running sneakers, so I can get a jump-start on my New Year’s resolution to finally run ten miles in 90 minutes. (To no one’s surprise, this has been my New Year’s resolution for a while, and no, I have never achieved it.) I was pretty charmed by the A.P.L. 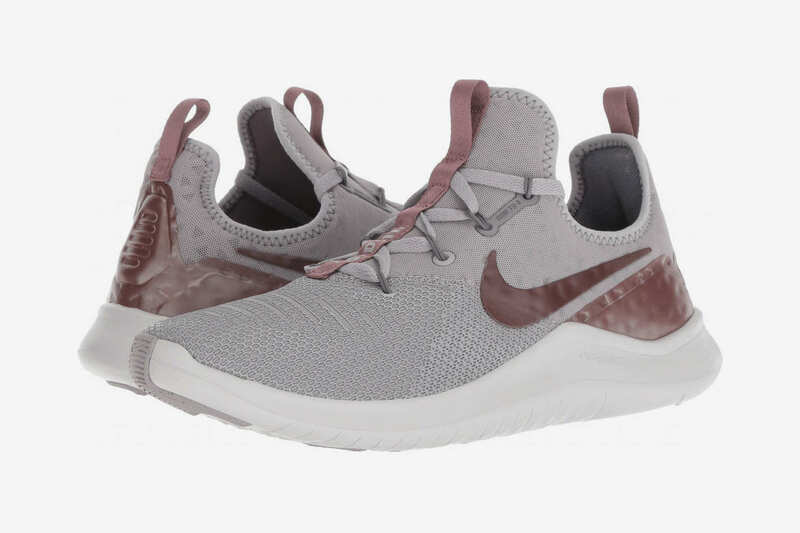 sneakers in this megapost about the best sneakers for every type of workout, but I think I’ll ask for these Nikes in a subdued mauve and gray. One hobby that I’ve picked up this year is going to Y7. 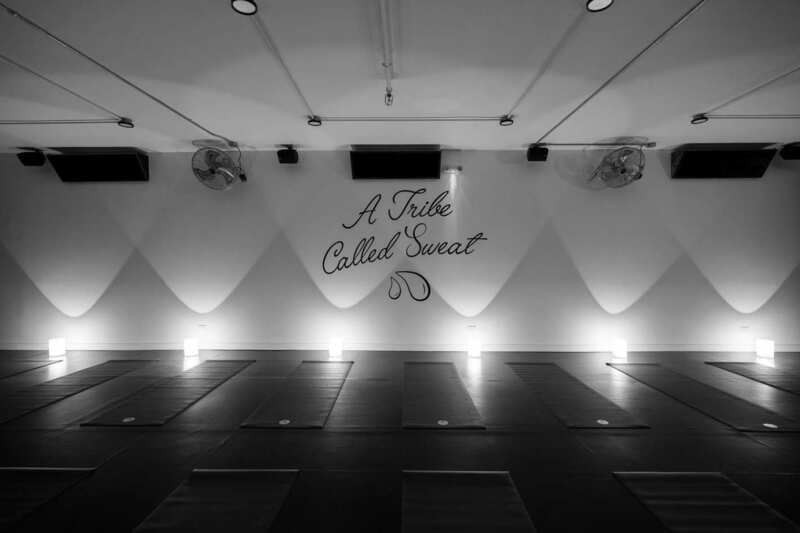 It’s Vinyasa yoga in a hot, dark room with no mirrors, but also the soundtrack is hip-hop instead of sitar-inflected New Age music, and can you say you really lived through 2018 if you didn’t balance in Warrior III pose while listening to “Nice for What” by Drake, featuring Big Freedia? I try to go once a week, just to break up my regular gym routine, so a 15-pack of classes will last me well into the spring. 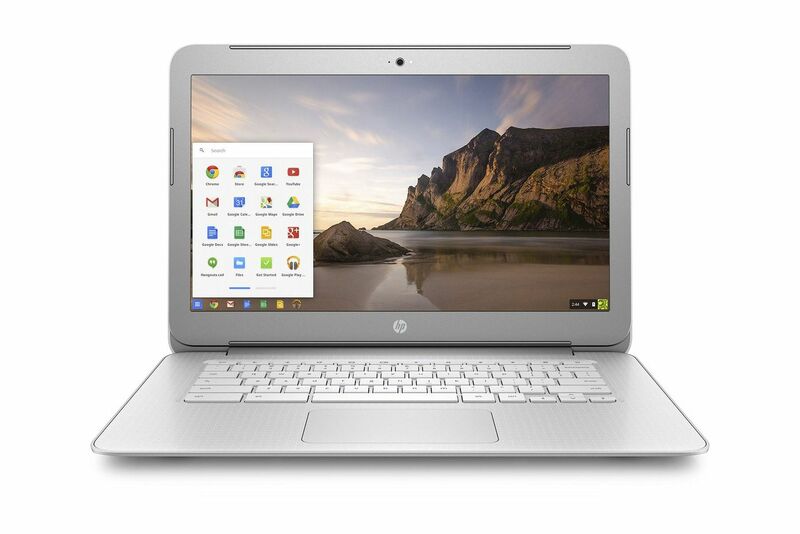 … while my dad wanted a new Chromebook to replace the tiny Gateway laptop he’s been using since 2009 and is still running on Windows 7, if you can even imagine that. 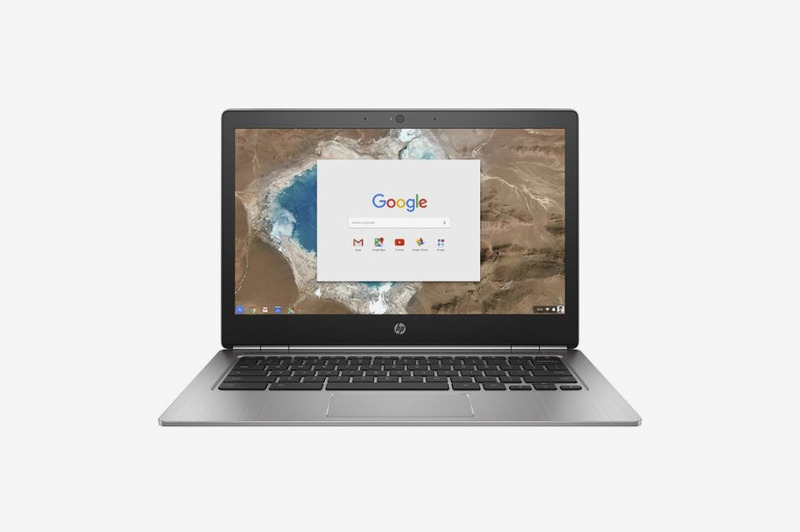 We settled for this HP laptop, which is plenty powerful enough for him to read the New York Times and send emails and take meeting notes in his role as treasurer for his road association. 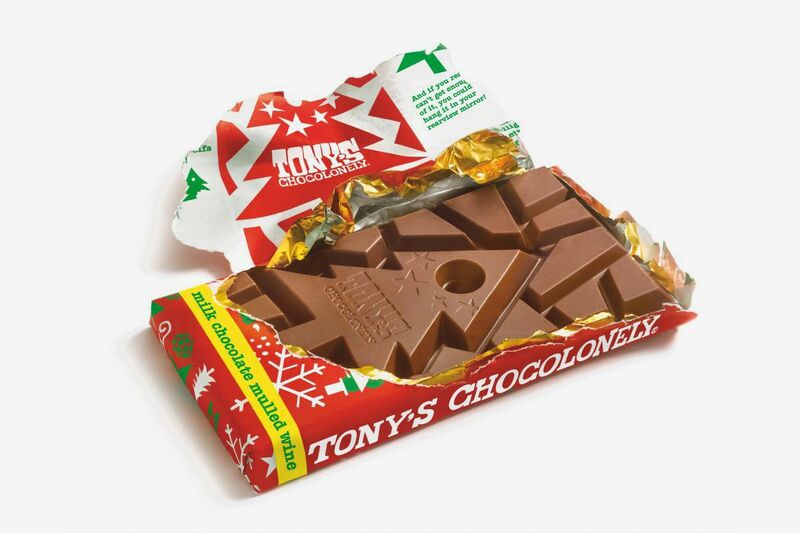 My go-to thank-you gift or stocking stuffer this year is a chocolate bar from Tony’s Chocolonely, specifically their seasonal chocolate bar made with milk chocolate and mulled wine. It tastes delicious, the packaging is so colorful it doesn’t need to be wrapped, and the Dutch company is committed to ethically sourcing its cocoa, as well as to educating consumers about what a fair trade really means. It’s very much a look-good, feel-good kind of gift, so I like to have a few on hand to give out as needed. I’ve been obsessed with this silk sleep shirt (and matching eye mask!) 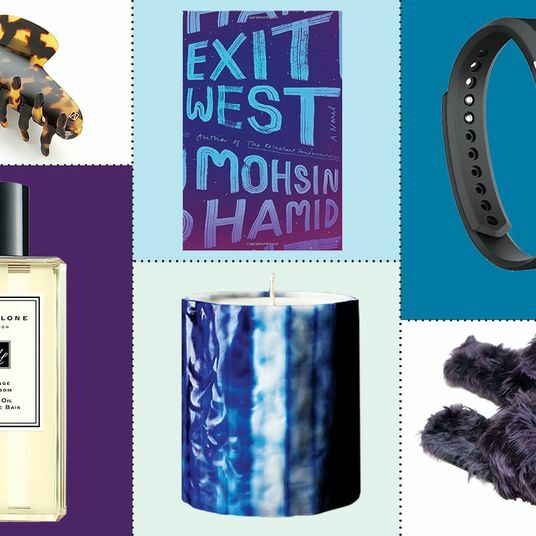 from artist and designer Christina J. Wang since I first noticed it while browsing Nordstrom on Black Friday. 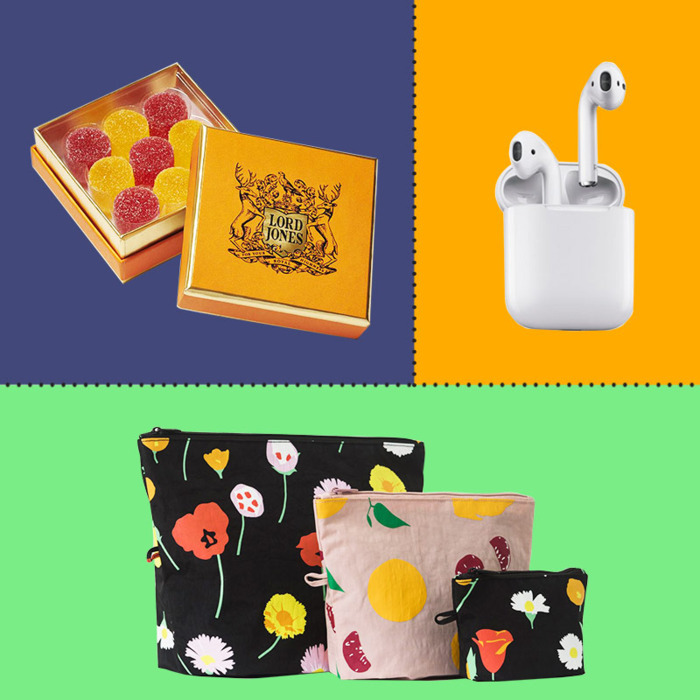 Of course it wasn’t on sale, and it’s kind of stupidly expensive, but I love the adorable illustrations of all the things that go into a perfect lazy Sunday — Netflix, cozy slippers, sheet masks, Chinese takeout, and cookies. 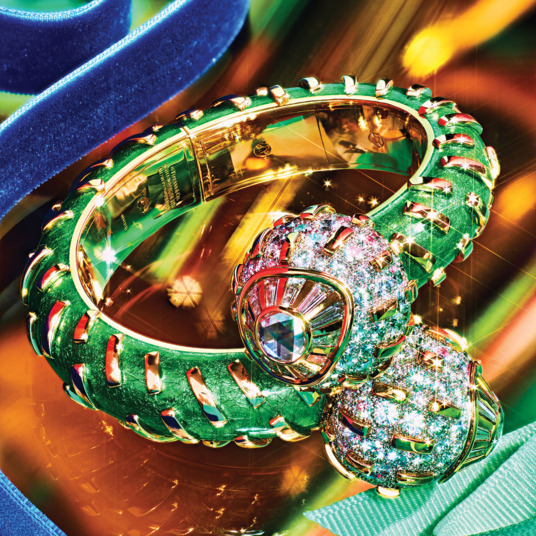 It’s not something I’d buy for myself but it would make the perfect extravagant gift. 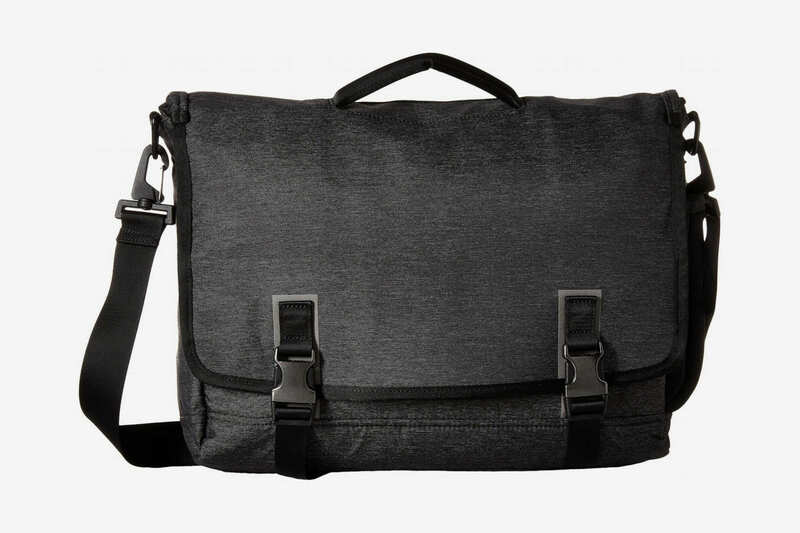 My husband is incredibly hard to shop for because he never wants nor buys anything, so I was ecstatic when he casually mentioned that he’s been thinking of replacing his backpack with a messenger bag. I dove into the search with some Strategist-level vigor and I’m fairly certain I’ve narrowed it down to this one. It’ll fit his 15-inch work laptop and it looks business-appropriate. I’ve been eyeing these pouches from Baggu ever since a colleague whipped one out of her bag at the Strategist Holiday Pop-Up Shop. I love that they come in three sizes, sport a graphic floral pattern that isn’t too precious, and are machine washable. 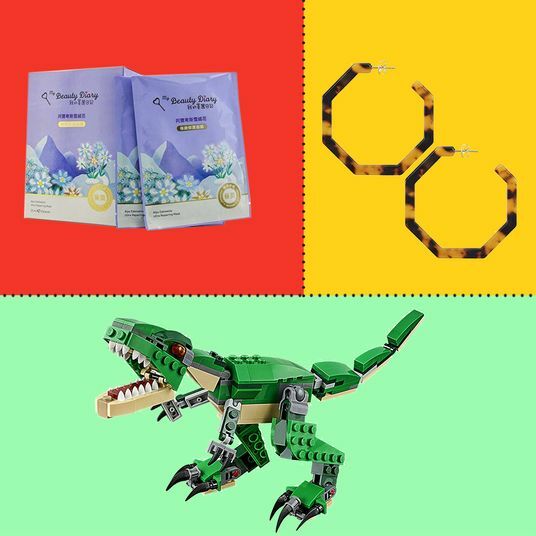 While I want to get a set for myself, they would also make the perfect gift for your friends. 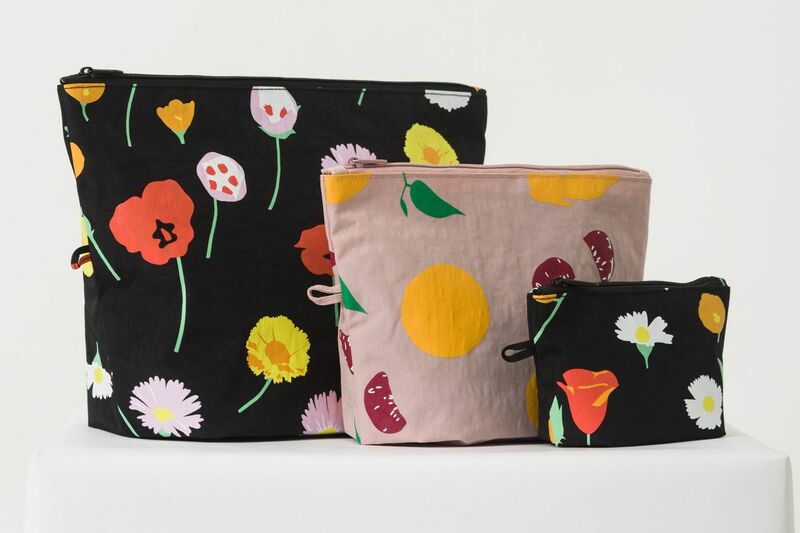 They’re cute, practical, and the only way to organize the contents of your black-hole tote bags, according to Katy Schneider. When I was a kid growing up in L.A., my parents would take us to lunch at Canter’s Deli for its corned beef sandwich every Sunday after church. That’s where I developed a taste for pickled herring, my dad’s all-time favorite snack. When my family visited New York recently, I took them to Russ and Daughters, where my dad naturally had to try the pickled herring. One bite was enough to convince him that it was the best he’d ever had. Since I’m not flying home for Christmas this year, I’m planning on sending my family a box of the deli’s “New York Brunch” kit and two kinds of pickled herring — cream with onions and plain with onions. While the overnight shipping costs are steep (it was $55 when I sent him a box for father’s day), it’s certainly cheaper than a cross-country plane ticket during the holidays. I have been looking for an elegant coat that I can wear during the winter when my puffer isn’t appropriate. 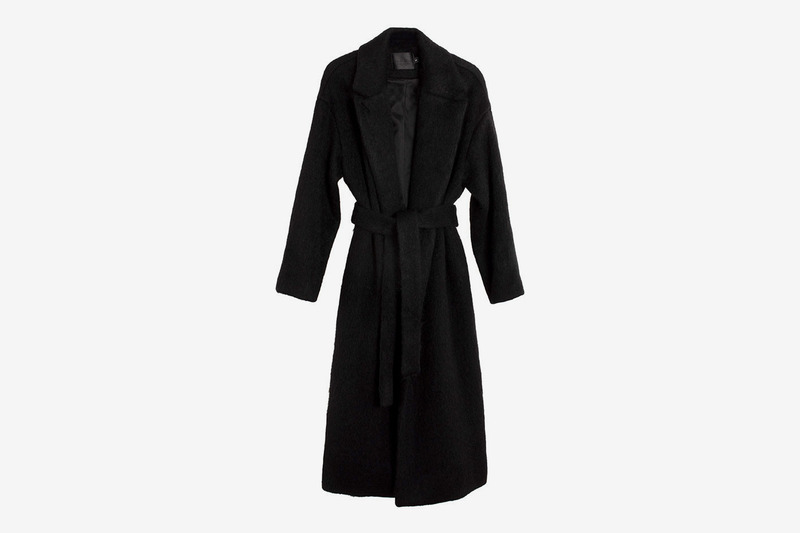 And last week, while scrolling feverishly through Bona Drag’s outerwear section, I came upon this No.6 mohair shawl-coat. It’s so beautiful! So soft-looking! So miserably expensive. 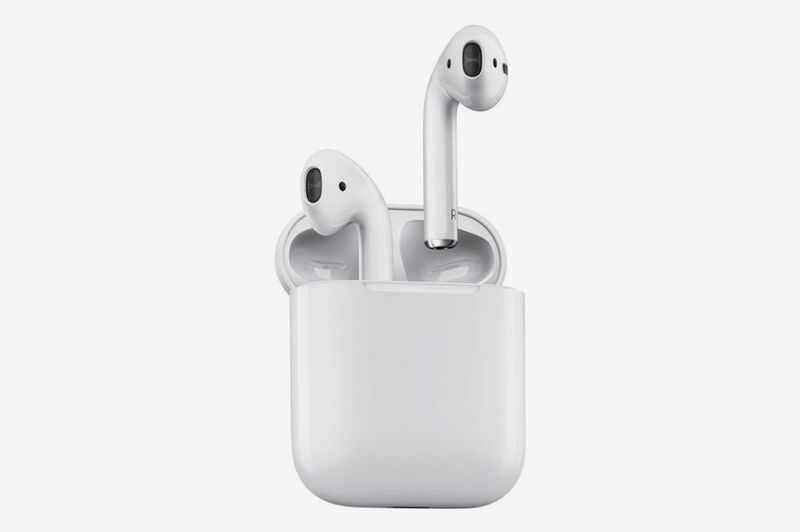 I’m Jewish, which means Hanukkah is behind me and Christmas is not in front of me, but here’s hoping someone thinks I deserve a late December gift just for being me. 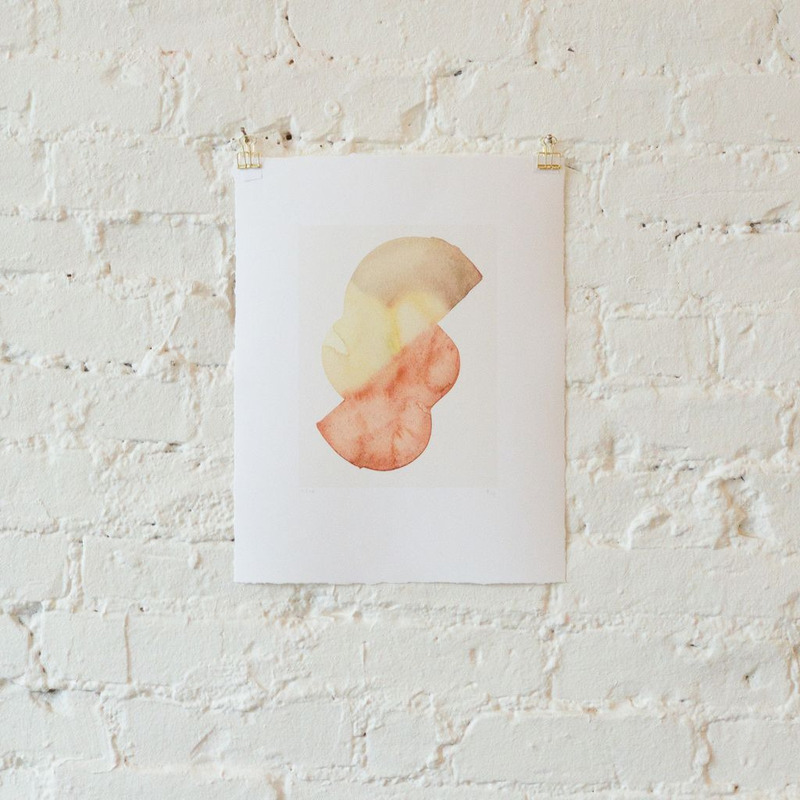 I’ve also had my eye on these relatively inexpensive Leanne Shapton prints, which are currently on sale at Picture Room. I’ve loved Shapton since I read her Important Artifacts and Personal Property from the Collection of Lenore Doolan and Harold Morris, Including Books, Street Fashion, and Jewelry — a fictional auction catalogue listing 325 items (love notes written on playbills, a pair of movie tickets to see Annie Hall at Film Forum) belonging to a recently broken-up couple — back in 2010. I really try not to hoard records anymore because I move so often (half of my record collection is at my parents’ house for that reason) but I’ve also never really known how to store the ones that I do have with me. 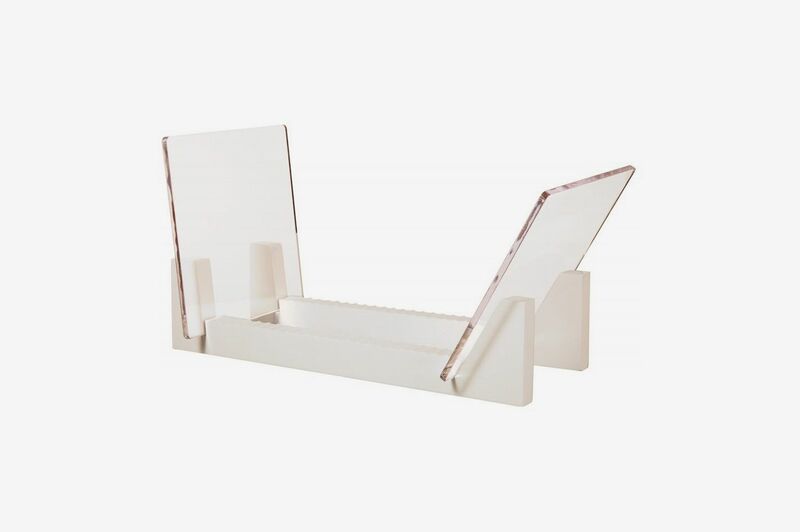 This table stand was the first thing I found online that wasn’t an ugly-looking milk crate or a bulky cabinet. It also takes up very little space and it’ll help me pack light once I decide to move on from my current apartment. The one thing that’s been eluding me in my winter clothing shopping this year has been a thick, chunky, knit sweater (I own lots of cashmere but I want something thicker, with texture, to round out my collection). I saw the Frankie Shop post a pile of these colorful sweaters on Instagram recently and a lightbulb went off in my head. This is exactly it. Now I just have to choose a color. My mom doesn’t read my byline (sad but true) so I feel comfortable sharing that I drew her name in my family’s first Secret Santa this year. 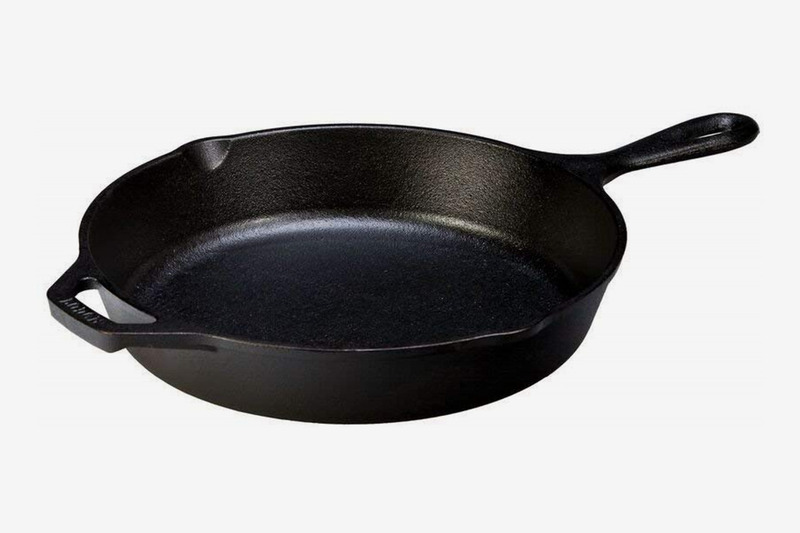 On the phone this weekend, she revealed unprompted that she was asking for this Oxo frying pan because “America’s Test Kitchen said it was the best.” I guess my work here is done, but I’ll probably end up throwing some retinol cream in there to round it out. Little-known fact: I grew up in Georgia, but was born in Johannesburg, where air-dried jerky is a delicacy. 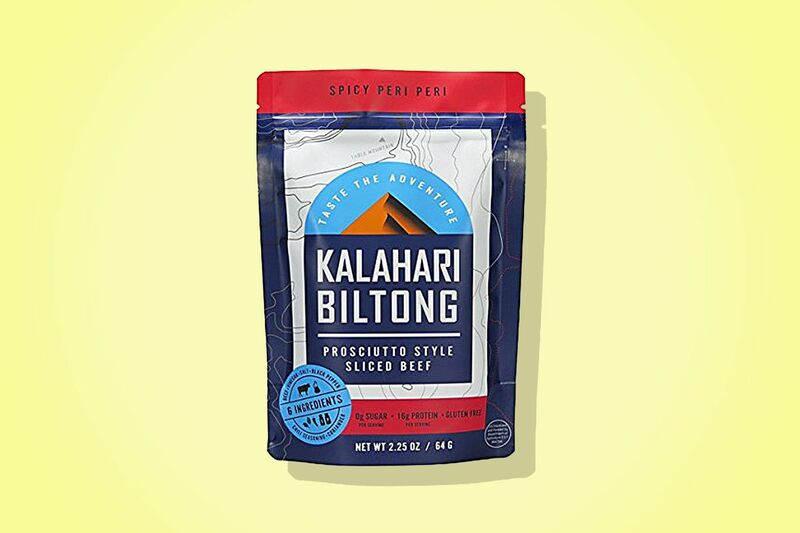 We love a good biltong, but you usually can’t find the right stuff in the States unless you shop at a dedicated South African store. I received a bunch of samples of this Made by True biltong, though, which I will happily dole out as stocking stuffers this year. It’s actually very good and well-seasoned, and comes in lots of different flavors, from garlic and herbs to coriander and spice. 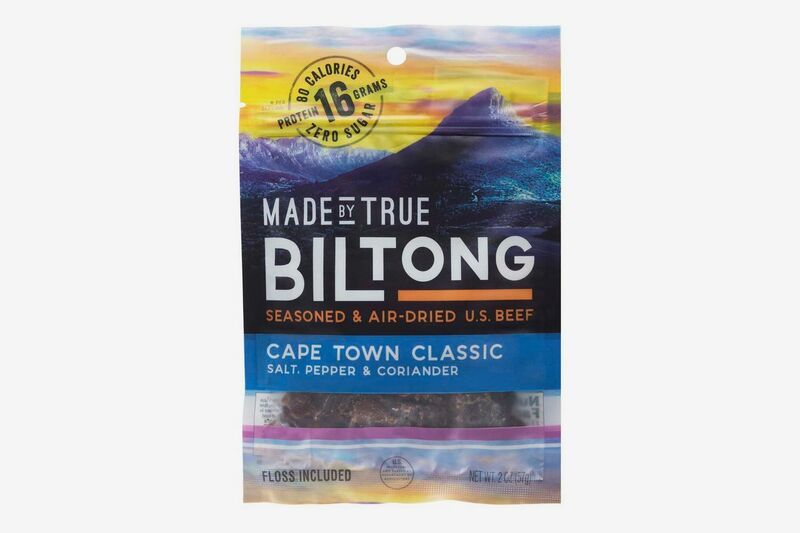 True story: my dad once parked our cars in the driveway so he could use the whole garage to air dry his own deer biltong (both a Georgian and a very South African thing to do). Once he knows about this stuff, he won’t need to make his own. My roommate is an angel and has significantly reduced my stress levels since I moved in with him this year. 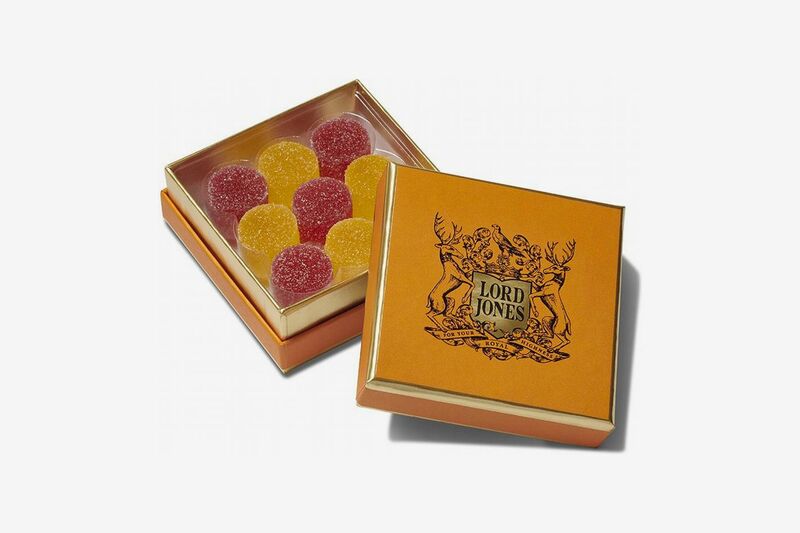 We’ve both bonded over being highly anxious people and have discussed our dabblings in CBD before, so I think I’m going to give him one of Lord Jones’ highly giftable gum drop sets as a token of my appreciation. 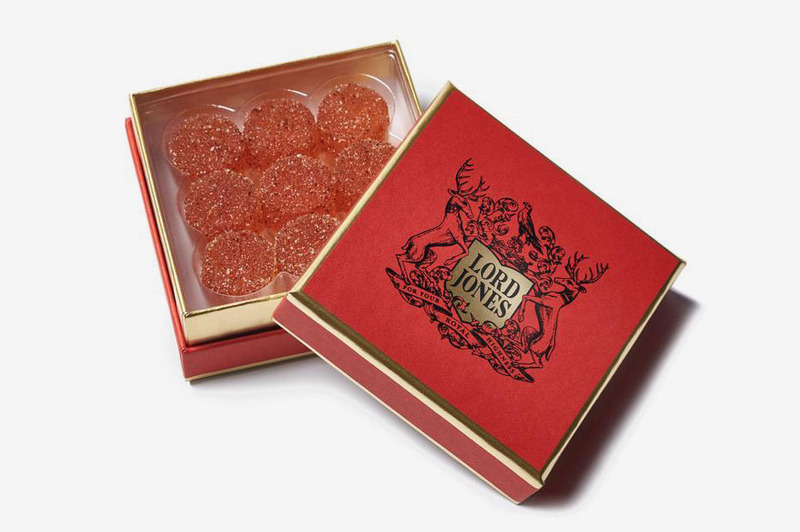 I’ve tried these mango chili gum drops before and they’re delicious: they taste just like lychee but with a hint of spice. 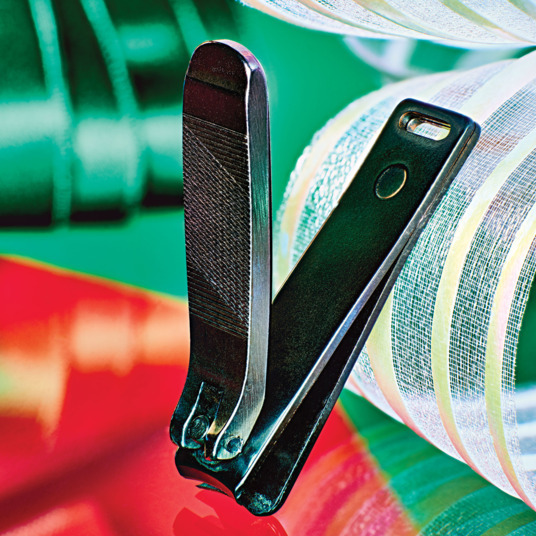 Like you, I have quite a few holiday parties to go to over these next few weeks. One of them is my good friend’s joint holiday/housewarming party. 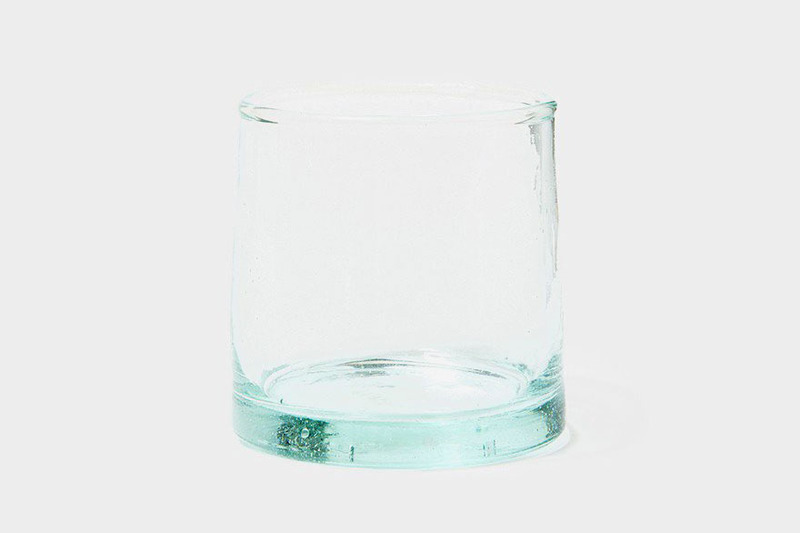 And since showing up with a bottle of wine is sort of required party-guesting, I’m going to pick up four of these (elegant but not too pricey) recycled glass tumblers to gift along with that wine. Two months ago, I moved into my boyfriend’s much bigger apartment and so far it has gone remarkably well. 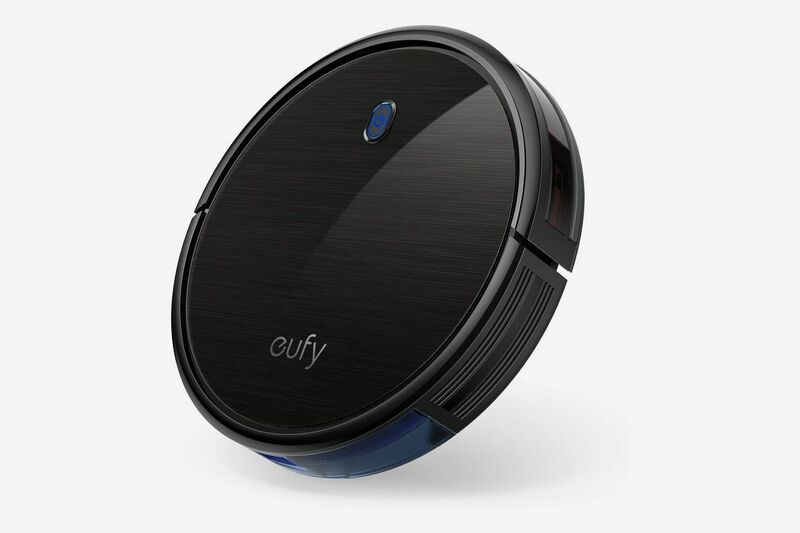 I want to keep it that way, which is why I’ve been thinking a lot about robot vacuums. Dust and dirt from outside are unavoidable facts of life, especially in a Brooklyn apartment. But keeping them at bay feels insurmountable and stresses me out. Eliminating a task like vacuuming would give me peace of mind and us more time to actually hang out. 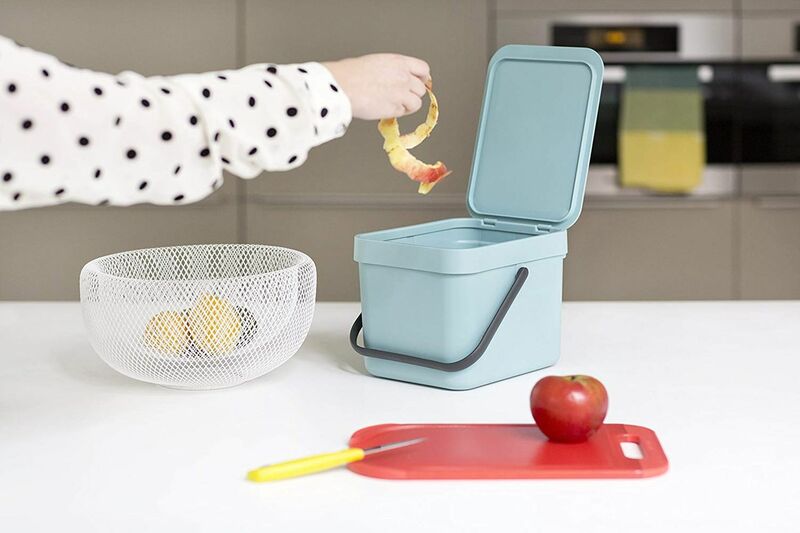 Here’s another practical gift, and one that I would never buy for myself. Most doggie waste bag dispensers are made of hard plastic and aren’t very stylish. 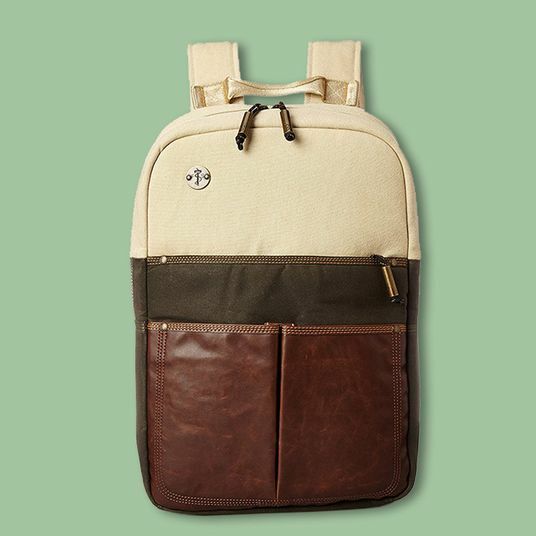 This one, however, is made of waxed canvas and comes in four handsome neutral colors. 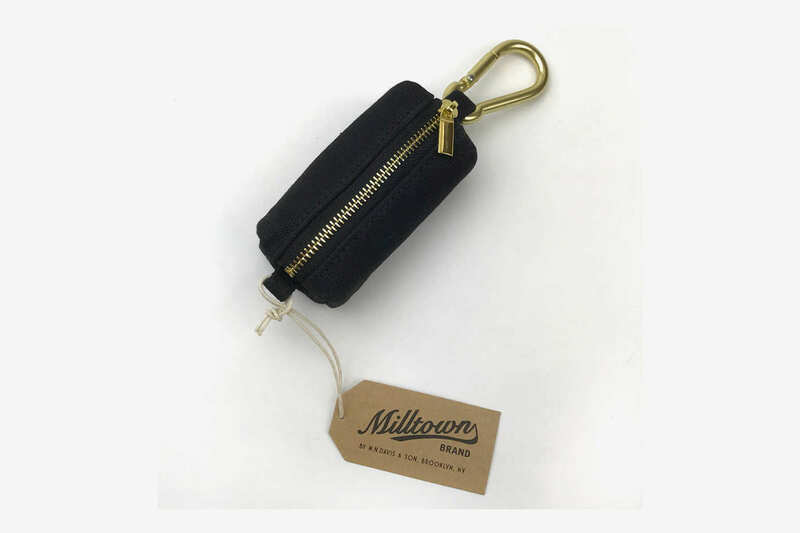 It’s like a tiny Filson bag that I can use for poop bags or as a mini-wallet on weekends for dog walks/coffee and bagel runs. Despite my many hours of online research, I have never been able to pull the trigger on a true winter parka. I am looking for something extremely warm, lightweight, and sleek enough that it won’t ruin a fancy outfit. My main problem, aside from being easily attracted to trendy coats that aren’t warm enough or are too heavy, is that the market is oversaturated with good options. But last week, Jason Chen arrived to work in his traffic-cone orange Penfield puffer and I was reminded of the brand. 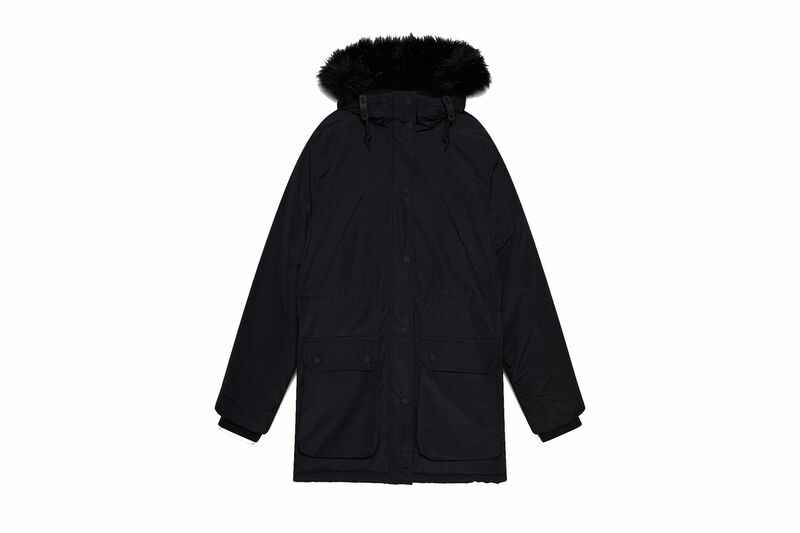 This parka might just check all the boxes, and its jet-black fur trim adds a level of sophistication to the sporty silhouette. This summer, when my dad was in the city visiting me and my brother for the day, we walked into the Nolita Buck Mason store, where I insisted that my father try on a pair of chinos. The look on his face when he came out of the dressing room was priceless. That’s how I know their sweatpants will fit him too. 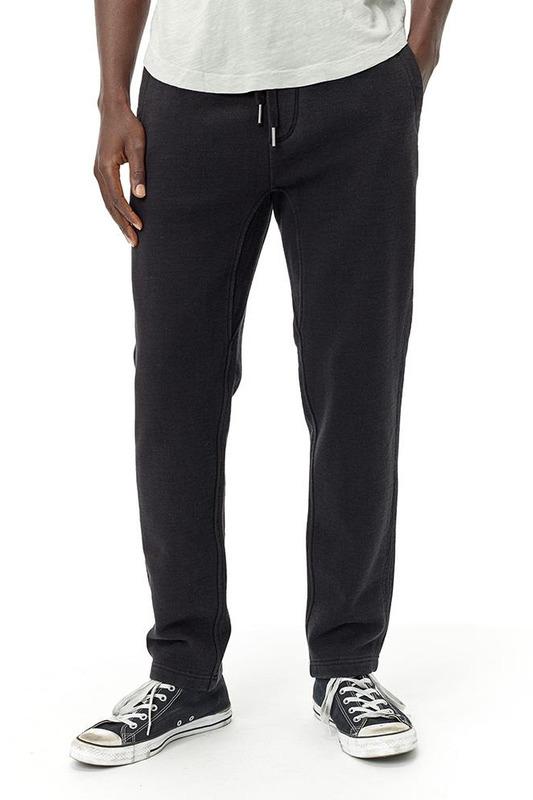 Buck Mason sweats are the menswear equivalent of a set of silk pajamas. I would honestly buy these for any of the men in my life (and several of the women): they’re flattering enough to be worn out, cozy, and made to last. I don’t usually go for subscription boxes, as I’m usually way too picky to outsource decision-making. That being said, I’ve never met a Sqirl jam I didn’t like. 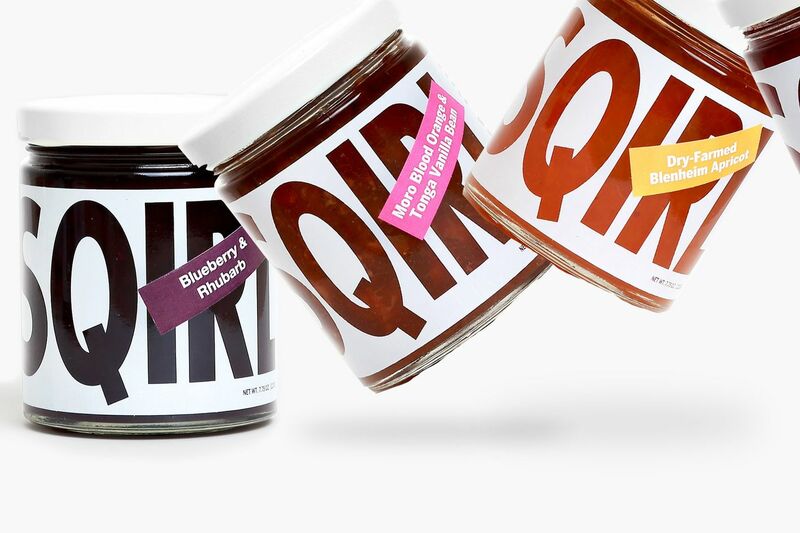 With this service, Sqirl will send two jars of jam every other month in 4, 6, or 12-month installments. By my estimation, I’ve guaranteed myself a little Christmas cheer well into April (just when it’s in shortest supply). 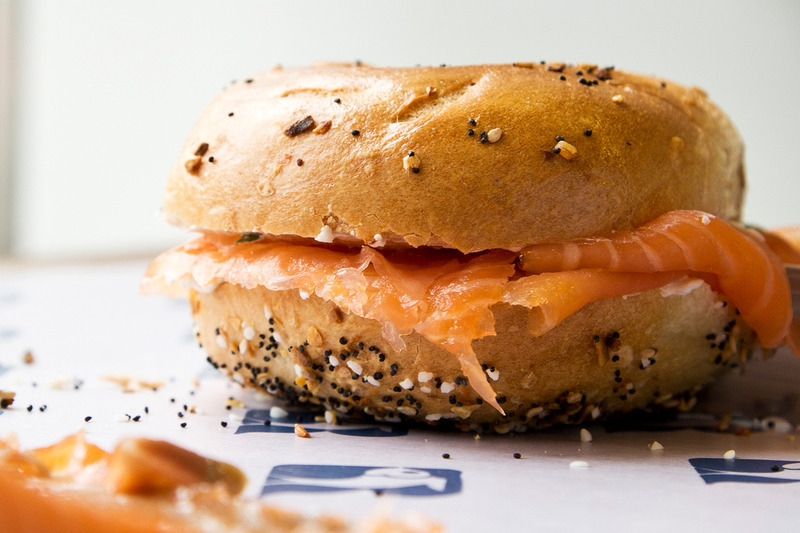 Plus, every order comes with a free tote bag, so you can advertise that you’re in the know to the toast elite. My New Year’s resolution is to finally banish the dark marks my battle with cystic acne has left on my chin. 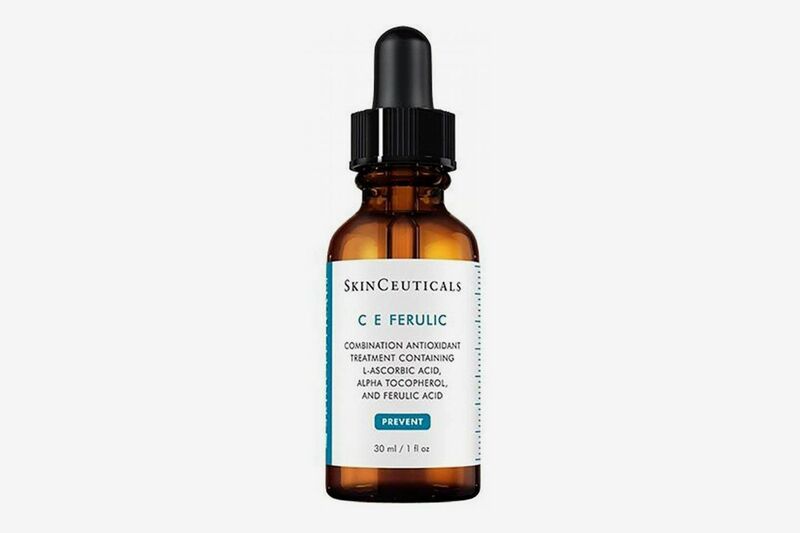 By all accounts, this is the grand dame of vitamin C serum that will help me do it. I’ve been eyeing it for years but couldn’t bring myself to buy it. Now I won’t have to! Thanks, Santa! I moved into a new place recently (two and a half months still counts as recent, right?) but I still feel like my apartment is missing a certain something. Specifically, a fun vessel right by the door for me to plop my keys in. 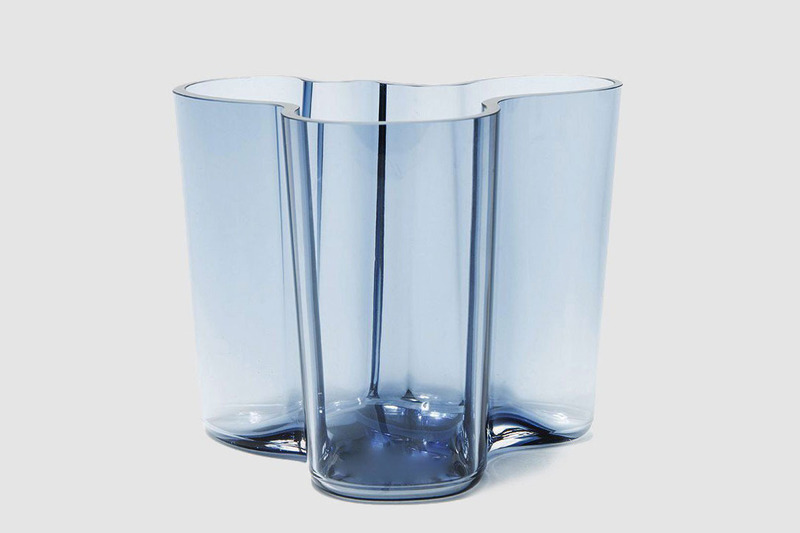 This squiggly Alvar Aalto vase fits the bill. I love gift-giving, but sometimes I can’t quite shake the feeling that it has never been as fun as it was when I was a kid. 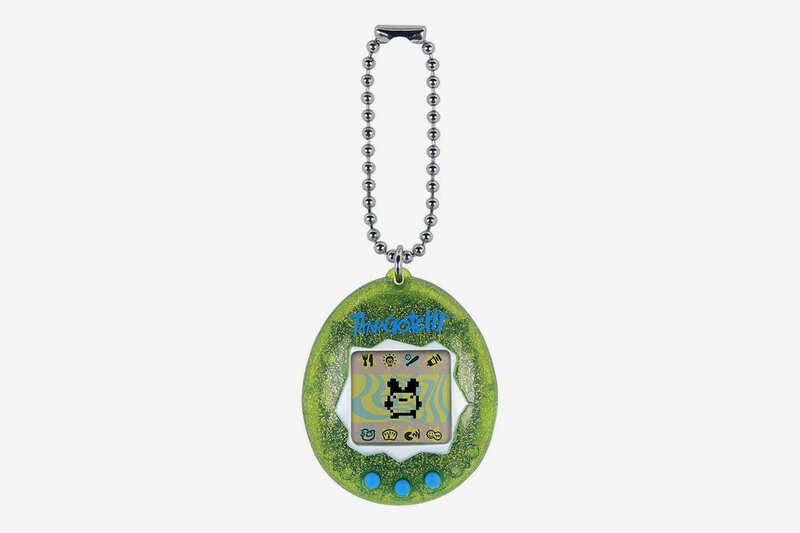 So, in the name of nostalgia and arrested development, I’m buying a bunch of these in different colors: one for my adult brother, one for each of my adult cousins, and one for myself. This one is a little strange, but bear with me: my best friend and I have a years-long inside joke involving the tempura shrimp emoji. We pretty much use it interchangeably with the red heart emoji. 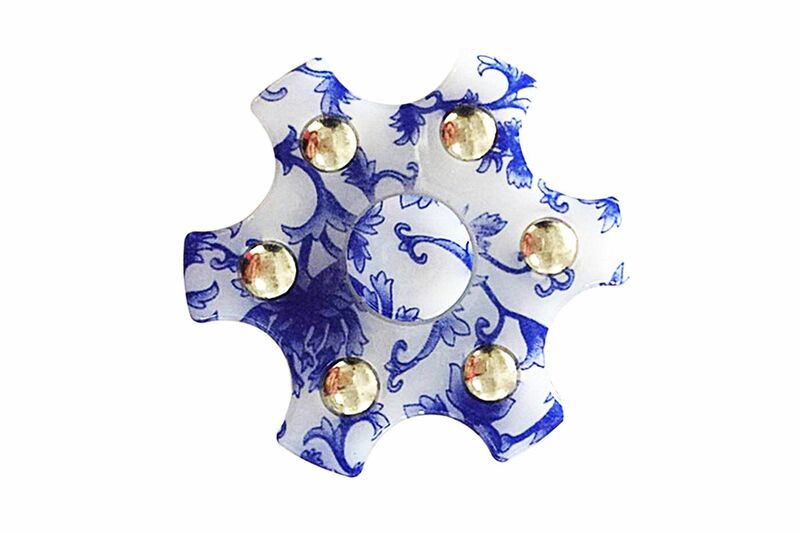 These Susan Alexandra studs are whimsical and affordable. 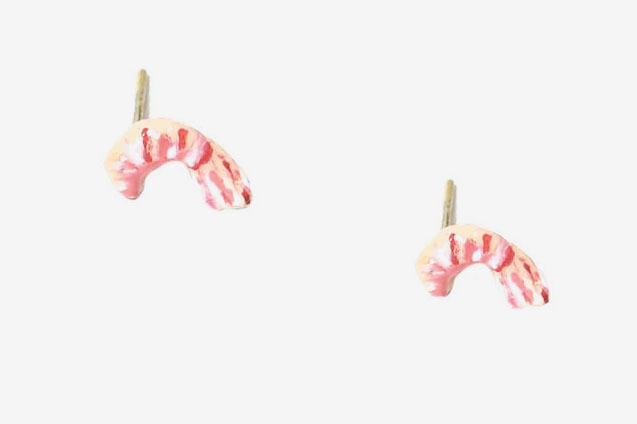 And what better way to show somebody you care this holiday season than with shrimp? Last year, the gift I said I wanted on this annual post was actually given to me, so it’s with genuine hope and sincerity that I am putting this out into the universe. I got a dog this year and spend approximately 80 percent of the workday worrying about what he’s up to, and this little camera can keep track of what’s going on at home, send real-time bark alerts, and even toss him treats. 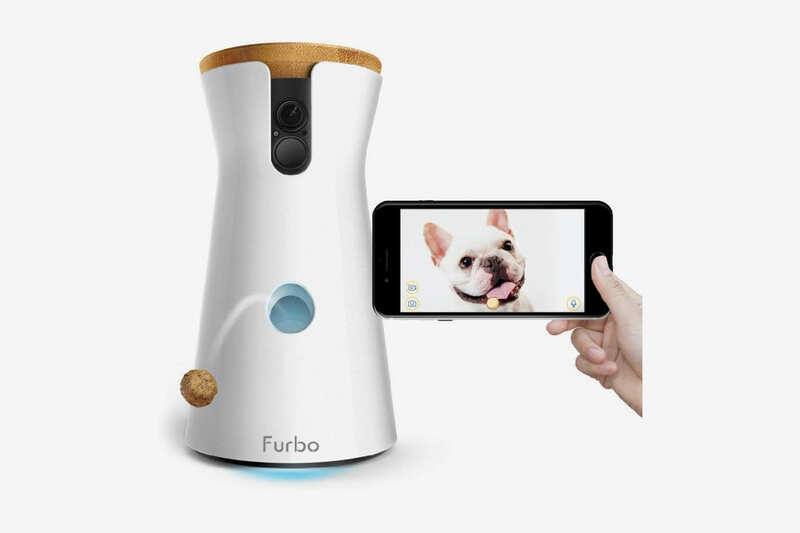 I’m choosing this over the similar PetCube only because it’s a good deal cheaper and has slightly better (and more) reviews. 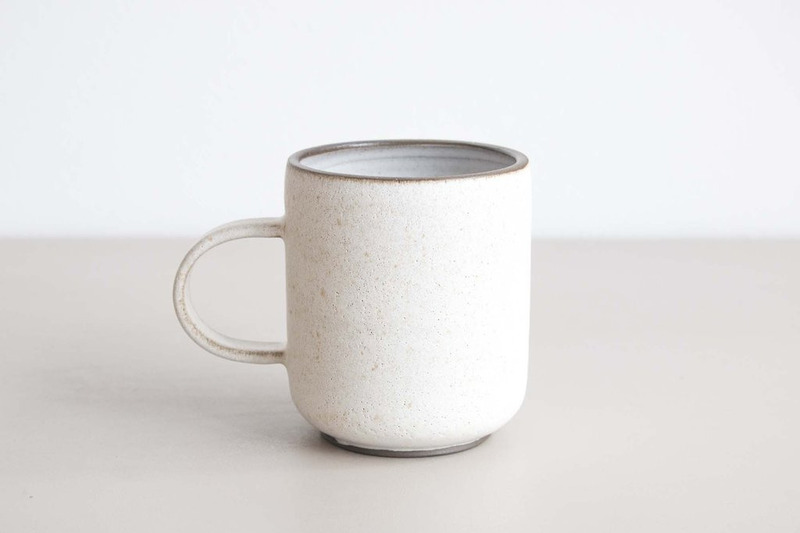 I did not know there was another ceramics line to be aware of, but Strategist contributor Chloe Malle wrote about Object & Totem’s cups, which sent me into a tizzy over the line from RISD grad Julianne Ahn. The silhouette on this mug is my favorite. I have had my eye on this fleece for way too long. 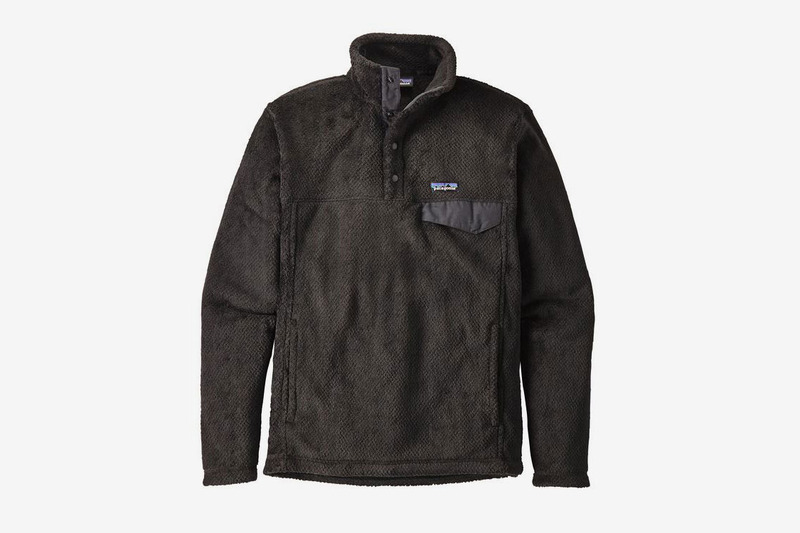 I have a similar Patagonia half-zip-style fleece I’ve worn for maybe ten years and I’m long overdue for a refresh. 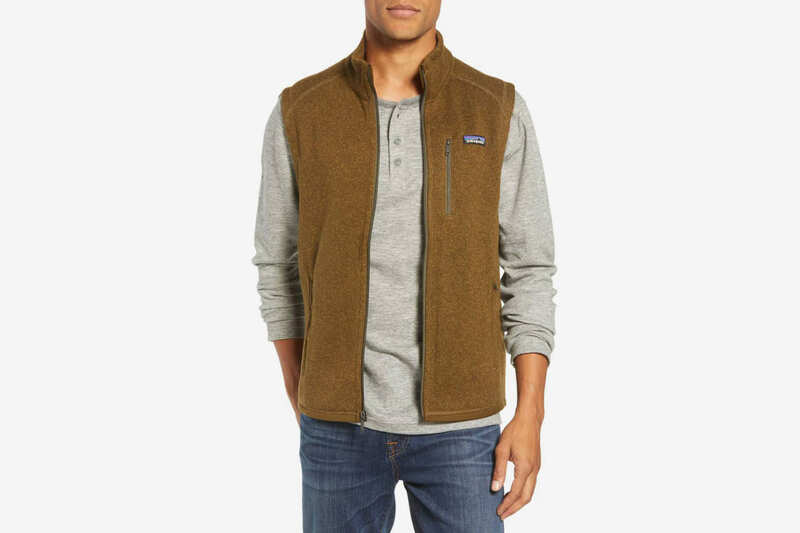 I know Patagonia fleeces are “supposed” to be for people who need a practical mid-layer while they’re hiking or climbing or whatever, but I almost exclusively wear mine when I’m sick or when I’m cold in my apartment in the winter. 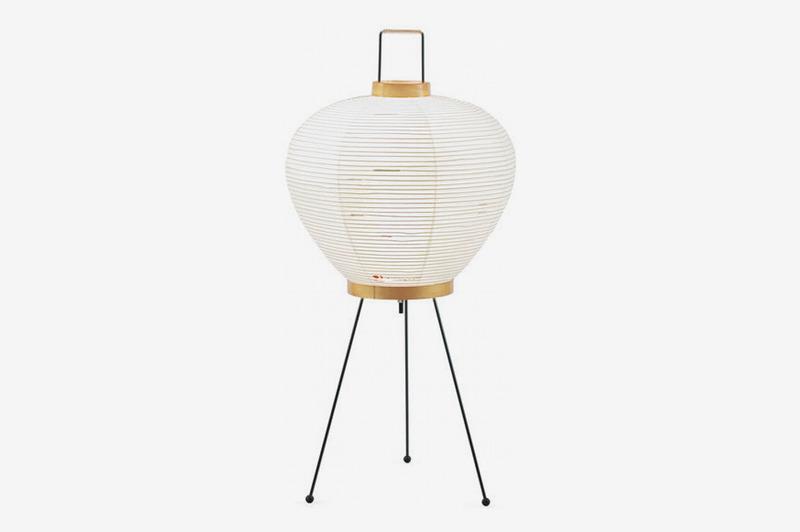 This one is basically a more stylish version of the one I already have, and since I won’t associate it with ten years of seasonal colds, who knows, maybe I will feel comfortable taking it for a spin outside or on some sort of outdoorsy activity. This has been in my Amazon cart for probably five years. 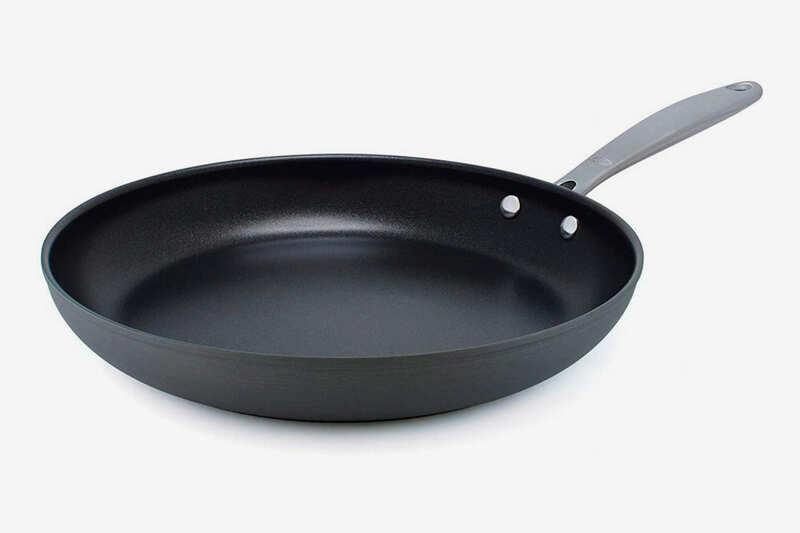 Whenever I get close to clicking “Check Out,” I start getting neurotic and Google how to care for cast-iron pans — a black hole of conflicting internet advice — and then I feel guilty for not appreciating my simple nonstick pan which has served me well enough. This cycle repeats every couple months, whenever I see one of those cast-iron pan glamor shots on Instagram. Everyone who has one tells me it’s really not a big deal to care for, so I think I just need someone to buy me one and save me from overthinking it. I almost never approach people I don’t know about this sort of thing, but the other week I saw a guy wearing a beanie that just looked perfect, so I couldn’t help asking where he got it. 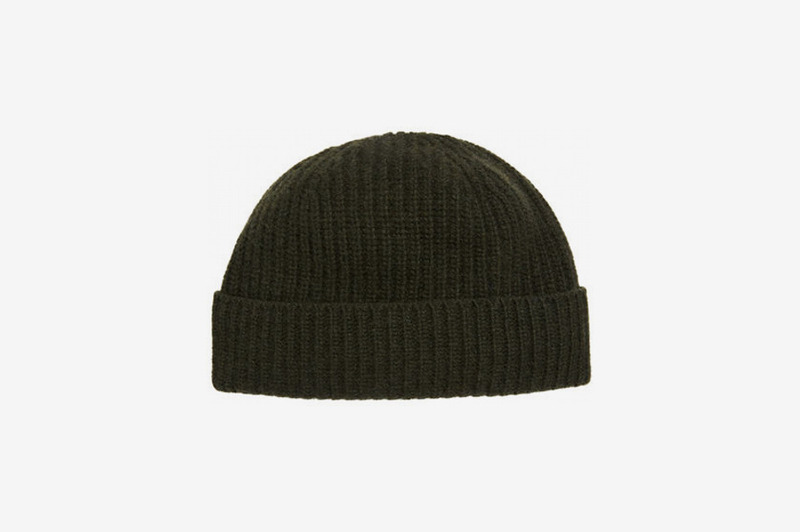 It was a cashmere beanie from Portolano; he said he has it in a few colors and wears them all the time. 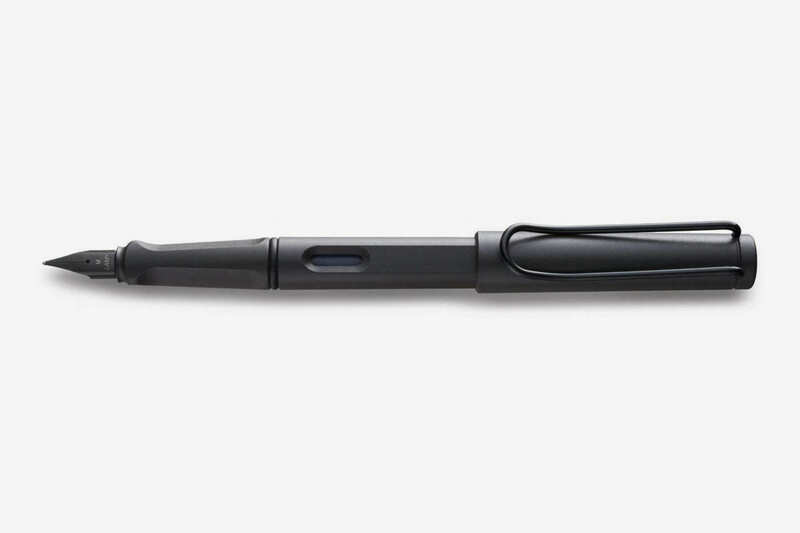 I’ve written before about my love for the Lamy Safari fountain pen. It’s the right price for a nice but small gift and it’s the perfect starter fountain pen. Most people don’t own fountain pens, so I think this would be a fun and novel gift to give. 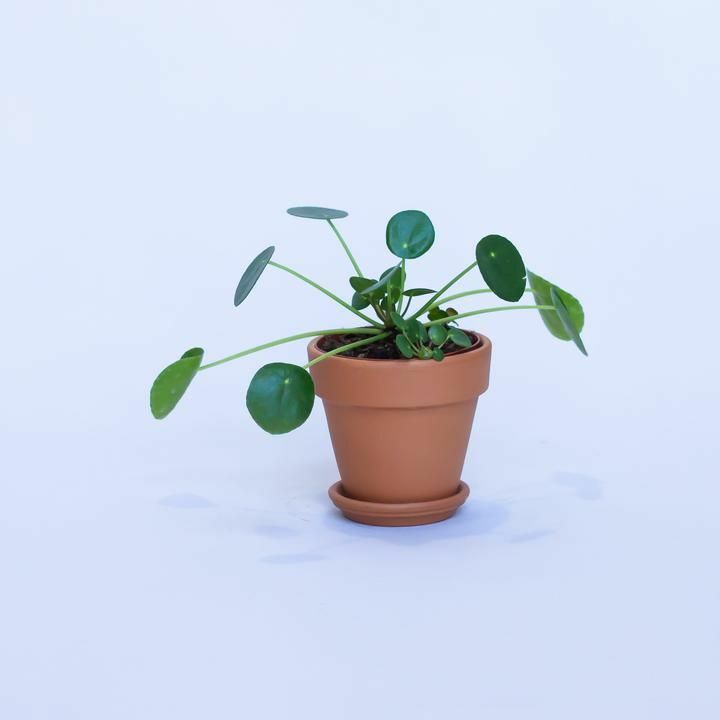 I like giving people plants, and the pilea is the perfect gift plant. It’s quite Instagram-friendly, (maybe too Instagram-friendly, actually, but let’s not hold that against the plant). It’s relatively easy to care for. And it is known for shooting out little baby plants that are easy to propagate and give to other people, so it’s a gift that keeps on giving.